We often describe Angel’s Envy as a Kentucky straight bourbon that’s finished in port wine barrels, and while we often discuss the “aged in port wine barrels” component, it’s worth examining the “Kentucky straight” designation, and how that all came to be. Legally, bourbon has to be made in America. This comes from the 1964 Senate Concurrent Resolution 19, which formally declared that bourbon was “a distinctive product of the United States.” But many of bourbon’s other legal requirements date all the way back to the turn of the 20th Century. When the Pure Food and Drug Act was passed in 1906, one of the many products it covered was whiskey. The Act required that labels list the substances contained in medication and alcohol; in the case of alcohol, proof also had to be listed. At the time it was created, the Act didn’t clearly define “straight whiskey,” so there was still room for interpretation. But after a great deal of debate and clarification, President Taft signed off on an official, legal definition of American whiskey in 1909. One of the most impactful changes of his decision was regarding what could and could not legally be added to whiskey. Under Taft’s definition, straight whiskey could only contain whiskey and the water used to proof it down. Blended whiskeys could only contain whiskey and the neutral spirit originating from cereal grains, and any whiskey blended with juice or molasses-distilled spirits would now be considered an “imitation” whiskey. Taft’s 1909 decision would be further codified with the 1964Senate resolution, but for now let’s focus on straight whiskey’s aging requirements. Straight whiskey was and is largely a matter of aging and proof assurance. The Pure Food and Drug Act does stipulate that whiskey must be created by distilling a fermented cereal grain mash, but beyond that, it’s all about age and proof. Once distilled, the whiskey may not exceed 80% ABV, and it must be aged for a minimum of two years, otherwise it can’t qualify as “straight.” At the point of barreling, it must be 62.5% ABV or lower, and only water may be added to dilute it at this point. Straight bourbon must be aged for a minimum of two years, but straight bourbon aged between two to four years must display an age statement on the bottle indicating the age of the youngest spirit in the bottle. Straight bourbon aged over four years requires no age statement. While old standards like bottled-in-bond are becoming less common, we’re still proud that Angel’s Envy starts as a Kentucky straight bourbon. 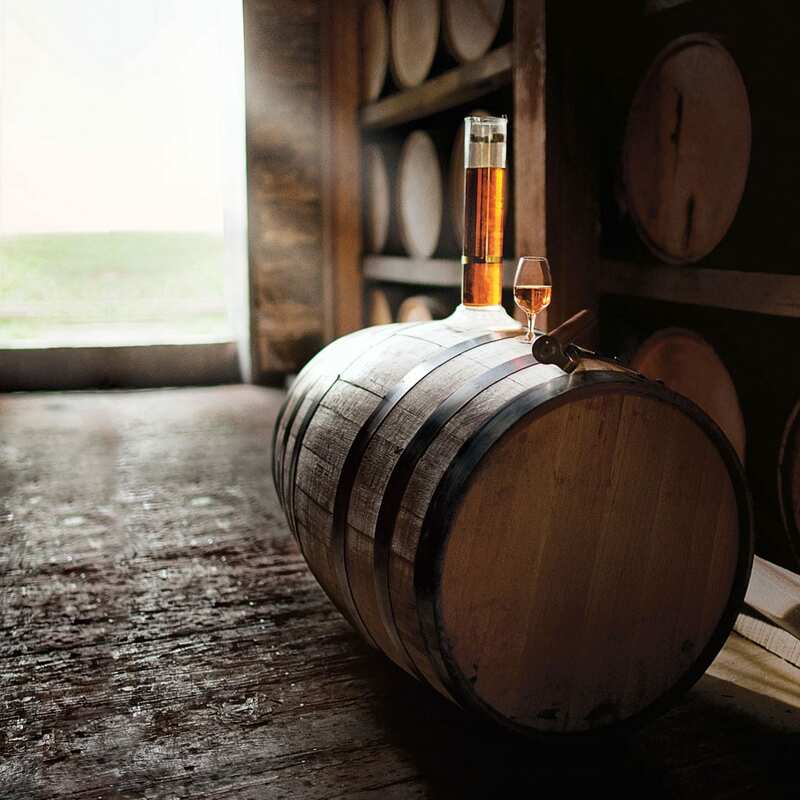 Bourbon must also be aged in a brand new, charred, oak container, but barrels are traditionally used due to their shape and historical precedent. This legal requirement was all thanks to a provision within Franklin Roosevelt’s 1938 “New Deal” and was most likely the result of heavy lobbying by cooper unions and the powerful timber industry. This decision, as much as age, has helped to ensure bourbon’s distinctive color and flavor, securing its place as the quintessential American spirit.